Children are busier than ever. Early morning hockey and swimming practices, after-school sports activities, religious obligations, and maybe even after-school employment or volunteer responsibilities compete for their time. Schedules can become overwhelmed and not allow enough time to do everything, so some families find that they skimp and relax the rules for homework. However, some parents take it much farther than just allowing their children to skip homework. They step in and do it themselves. In a national Ask.com survey, 778 parents were asked if they do their children’s homework for them. Here are the surprising results. 87 percent of parents in the south admitted to doing their child’s homework. 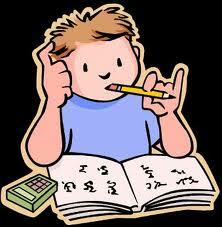 43 percent of parents nationwide admitted to doing their kid’s homework. 47 percent of dads nationwide did their children’s homework. 39 percent of moms nationwide did their children’s homework. The study found that some parents did the homework themselves to relieve their children’s schedules, but others completed the work for an even more dubious reason: higher grades. overscheduled, it is my job as a parent to step in and relieve some of the extracurricular stressors. Doing the work of my children helps them in no way long-term. However, it does teach them to say “Yes” to every opportunity, except school. In my humble opinion, it also teaches them that they don’t actually have to work hard, someone will always be there to pick up their slack, and that it is OK to cheat. Yes, even if you believe you have a good reason for completing your child’s homework, it’s still cheating. Please don’t misunderstand me. Helping children with homework is not the same as doing the work for them. I help, in fact, I teach (two of mine are homeschooled), but I do not give them quiz and test answers or complete homework for the two who are in brick-and-mortar schools. Parental guidance and involvement are absolutely required for most children, but by definition, guidance does not mean doing the work on someone else’s behalf. 1. Start now with the it’s-your-homework-not-mine stance when (hopefully) the stakes are low, rather than in high school when grades start to matter. Remind yourself that having your child take responsibility is much more important than getting the answers right every time. 2. If the work seems overwhelming and your child is anxious, show your child how to calm down and tackle each assignment. This is a good opportunity to teach time and stress management. 3. Find and use resources. For example, when my son was having difficulty understanding double-digit subtraction and parents were instructed not to use the term “take-away” as I was taught at his age, I went to the math book’s website. There I found an animation that explained the proper methods and terminology; my son and I watched the subtraction segment over and over until he (and I!) finally understood the process. 4. Let your child ask a friend for help. Kids tend to relate to each other better than adults, especially when they have been sitting in the same classroom or learning the same material. My child’s middle school encouraged this behavior and set up teacher-supervised, kid-to-kid tutoring sessions. Not all friends will be able to help but those who truly understand the material will probably be better helpers than parents. 5. Encourage your child to ask the teacher for help. Some teachers have time set aside to give extra help to students, either right before or after school, or during times dedicated to independent work. 6. Figure out where your child needs extra guidance and give assistance for certain subjects, but not all classes. Younger kids may not have learned what approaches work for them, so they may need some help in figuring out how to tackle a new subject. If they can develop independence in at least one area of homework, they are more likely to learn how to do homework in other areas. 7. Teach project management. One of the biggest areas of homework frustration at my house, especially in the elementary school years, was the project. In some classes, teachers actually broke down projects into manageable, doable, understandable steps. This approach taught project management (there were steps and timelines with due dates!) for which I am most grateful. But if the assignment isn’t that clear, you may need to help with project planning. 8. Let your child make mistakes. Even if you see (or think you see) an error, don’t correct the homework. If your child consistently hands in perfect homework, the teacher may make the reasonable assumption that your child doesn’t need help and that the student (and possibly the entire class) can move forward with new concepts; if the class does move forward (and your child doesn’t grasp earlier concepts), you’ll likely get stuck with perpetual homework helping. 9. Show your child how to find and evaluate resources needed for assignments. For example, when my kids needed to write on current events in Europe, I pointed them to BBC rather than the international section of our local newspaper. 10. Get the answer wrong. I stumbled upon this approach when my oldest son was taking Geometry in third grade, and it’s perhaps my best advice. I have some sort of visual-spatial deficit so my assistance with this particular subject was useless. Fortunately, he then turned to his teacher, who taught him strategies that helped him to overcome any geometry-related deficiencies that he may have inherited. If you’re considering picking up a pencil or logging onto the computer to complete your child’s assignment, ask yourself if you’re teaching them a respectable virtue then proceed as your conscience allows.